Bilberry Hotel have generously appointed Executive Rooms, each having front facing view. Guests can expect every amenities lavished upon them during their stay in this room. A Deluxe hotel room in Heritage Haveli ResortPerfect for you if your looking at cost vs value stay. malesuada metus. Heritage haveli hospitality and ideal location places the heritage haveli at a distant advantage for any travellor situated on the delhi - jaipur national highway nh8, surrounded by lush green environment and a near 10 minutes drive from rewari/bawal industrial area. 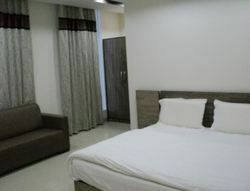 Elegantly furnished luxurious accommodation with a blend of traditional with modern in its suits. We have built a system that delivers information on traffic conditions, parking availability, and the weather at the driver's destination in real time. Our goal is to deliver information with optimal content delivered with optimal timing based on sensors that help ascertain how the driver is feeling, his or her state of health, and conditions on that day.